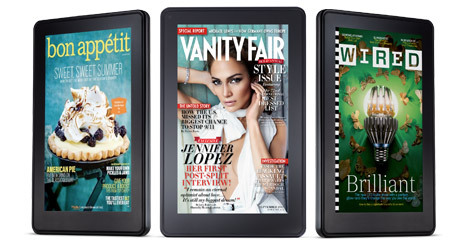 In short, the Kindle Fire delivers. But you have to keep in mind that it is an e-reader, not a tablet computer. This distinction has largely been lost in the last week with the constant comparisons to the iPad, which is a tablet computer. An iPad is a low-end computer without a physical keyboard. As a result, businesses have begun integrating them into the workplace, such as the airline industry replacing paper flight manuals with iPads and Siemens Energy outfitting service technicians who repair wind turbines with them. While it seems doubtful that Steve Jobs anticipated that the iPad would be used in these specific ways, he made it robust enough so that it could. My point, is that when Amazon thought up the Kindle Fire, they did not design it so that it could be used to help fly planes and repair wind turbines. What Amazon has made is a relatively inexpensive LCD e-reader. It’s clear that the future of e-readers is LCD. Let me explain why, and then I’ll address the whole e-ink/eye strain issue. Books on the Fire look fantastic. The text is extremely clean and vivid. It is so clear that I think it’s actually easier to read than printed text. You are of course given the ability to change the font size, typeface, line spacing, margins and background color. While e-ink also surpassed paper in its presentation of text, it has a lot of limitations. For example, with the newly created e-book version of Julia Child’s Mastering the Art of French Cooking, many of the design elements cannot be properly viewed with e-ink. Most obviously, e-ink cannot reproduce color photographs, which look superb on the Fire. If you want to see what the future of e-publishing is, checkout the New Yorker App (which is also available for the iPad). LCD e-readers not only allow its photographs to be vividly reproduced in the electronic version of the magazine, but additional multimedia elements not found in the print edition are included, such as videos, audio clips and additional photographs. It’s clearly only a matter of time until electronic versions of cookbooks include video walkthroughs. As for the whole e-ink/eye strain debate, doctors have studied it and say it’s no more likely to give you eye strain than LCD. And let’s remember, most of us spend hours each day looking at LCD screens – our computers – and no one was fretting about eye strain until the iPad with an LCD screen became an alternative to e-ink. As LCD e-readers become even cheaper, I predict that e-ink e-readers will eventually be phased out. Finally, it should be noted that the Fire provides access to your Google Documents and Dropbox account without having to go through the browser or installing an app. Files can also be e-mailed directly to the Fire. So in summation, as device for reading e-books that contain text, diagrams/graphics, and full color pictures, Kindle Fire is outstanding. It offers a great digital reading experience. As I see it, for $80 you can by an e-ink e-reader; for an extra $120 you’re getting an e-reader that can also play video, send e-mail, listen to music, and surf the web. While it does none of these things exceptionally well, in the context of the $120 price increase, the performance is as good as you could hope for. Fire’s operating system user interface is kinda clunky. It is really annoying that there isn’t a physical home button like the iPad and iPhone have, nor is there the ability to quickly switch between apps like you can do on Apple devices by double clicking the home button. The fluidity of the touch screen interface is not as fluid as Apple devices and it is not as precise. But this seems to be entirely a software issue. When you run third party programs, like Angry Birds, the touch screen experience is identical to the iPhone and iPad. There’s a lot of noise and grain. If you’re buying the Fire to primarily watch videos, you’re going to be disappointed. Remember, this device is first and foremost an e-reader. But if you’re looking for a distraction while on a plane or in a doctor’s waiting room, the quality is fine. For Amazon Prime subscribers, there’s a quick link on the home screen to Amazon’s free Prime videos. After all the hoopla over the web browser, Silk, I find load and render times to be highly variable. Sometimes it is fast, other times it feels like a through back to dial-up days. It also does a poor job snapping to content within a column when you double tap on it. The e-mail client is pretty bare bones, but fast. And unlike Apple devices, I like that how when you click on a link in an e-mail and are sent to the browser, there’s a back button that will return you to the e-mail. The size of and portions of the Fire are also ideal for holding it in landscape and typing with both thumbs at once (as well as playing games). As for the Nook, I haven’t had a chance to compare it to the Fire, but its extra RAM and storage space is a red herring. 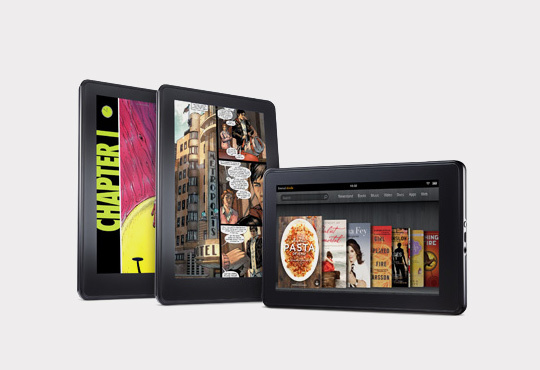 The Nook boasts 1GB of RAM while the Kindle only has 512MB. But the iPad 2 and iPhone 4S also only have 512MB. So if 512MB is good enough for the iPad 2, it should also be for the Nook and Fire. I suspect that when Barnes and Noble found out how much RAM the Fire would have, they shoved in another 512MB so that the Kindle would appear underpowered by comparison. And as for the Nook having 16GB of storage vs. Kindle’s 8GB, it’s the same deal. The future of storage is the cloud. If you’re going to be going someplace where there won’t be any wireless access for months, and you have to have gigabytes worth of videos and music, then bring your computer. And let’s be realistic. Since Starbucks began offering free WiFi last year, I don’t think I’ve gone 24 hours without access to WiFi, even when I was living in and traveling around Central Alabama. Lastly, for those times when you won’t have Wi-Fi access (or don’t want to pay for it), any videos or music purchased from Amazon can be downloaded onto the Fire, then later deleted from the device. As you finalize your Black Friday shopping list, if there is anything I hope you’ll takeaway from this review, it’s that the Fire is not a tablet computer. If you want the iPad experience, buy the iPad. 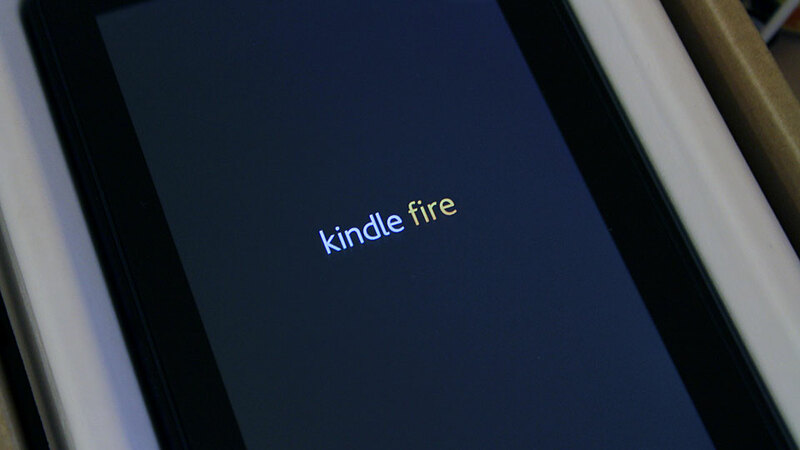 If a dynamic e-reader is good enough for you, then add the Fire to your shopping list. You make some good points. But I can't agree with your contention that no one was fretting about eyestrain before the iPad. That's simply not true. Computer Vision Syndrome has been around since the days of CRTs. It's been a bit less pronounced since flat-panels started dominating, but eyestrain has long been a big issue with anything backlit. I myself am much more prone to eyestrain on any kind of glowing screen than I am on my traditional Kindle.